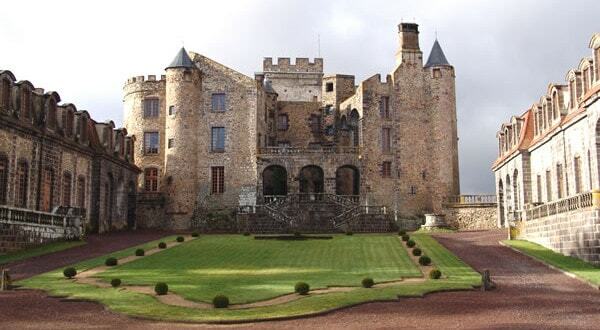 Originally a medieval castle, Chazeron was altered in the 17th century by the architect Jules Hardouin-Mansart. He built a staircase on the site of the keep and added an arcaded gallery. The moat was filled in, three of the external walls were demolished and two wings were added. Today, the castle is a cultural centre, exhibiting drawings and avant-garde furniture. The keep offers views over the Sardon valley and the Limagne plain.